Check Out Our Silent Auction Items Here! The Hotel Julien has a block of rooms reserved for the evening at a rate of $99 per night. 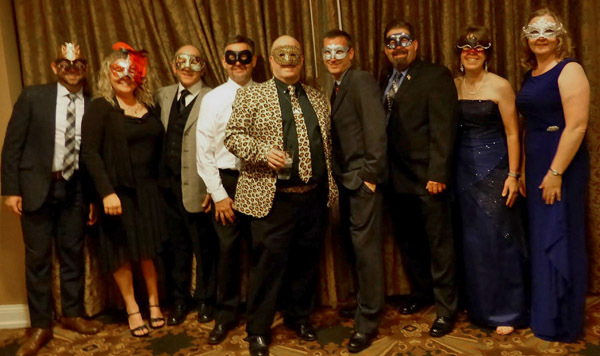 You can call the Hotel Julien at 563.556.4200 and ask for the Colts Masquerade Ball rate. 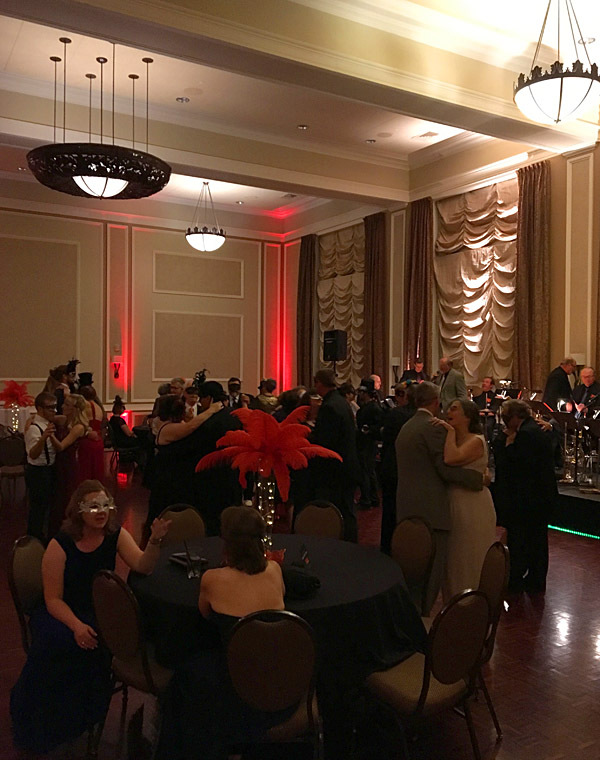 La Musique & Masquerade Ball is presented by the Colts Booster Club, a 501(c)(3) nonprofit organization whose sole purpose is to host fundraising events to support the Colts Youth Organization. The Colts Booster Club sponsors the Colts Car Wash each June to raise money for the summer tours of both the Colts Drum & Bugle Corps and the Colt Cadets. Do I have to wear a mask? I'll feel a little out of place. Yes. All guests need to wear a mask. You will feel right at home because without a mask you would definitely feel out of place. This usually means a tuxedo isn't required but the event is still formal enough for one to be appropriate. He should wear: A formal dark suit and tie or a tuxedo is also a fine option. She should wear: A long dress, a dressy suit, or a formal cocktail-length dress. While evening attire may suggest dark, neutral tones, this is a Masquerade Ball, after all, and colorful expressions can never be out of fashion. Is this event for couples only? Not at all. But it certainly is a great 'date night' for the person who's challenged to come up with somewhere fun and different to take their partner. Where do I get a mask? Yes. But ordering online in advance helps us make the event special for all guests. Are there prizes or silent auction items? There will be a select number of silent auction pieces including a game package, vacation experiences, special one-of-a-kind instruments, and more. One guest will be chosen as the 'best dressed' of the evening. Attendees will discretely pass their ticket stub along to the person they believe to be the best dressed. At the end of the evening, we will ask those with a collection of stubs to meet at a location inside the ballroom and we will present a special prize to the one selected as best dressed. Is the night going to be full of drum corps talk and videos? No. The night is all about having a great time! There will be a brief introduction from the Colts, and of course there will be video running at the side of the room so you can see how incredible the kids are that we meet each summer, but the evening is for dancing, socializing, and (as stated in the promo materials) a touch of romance.